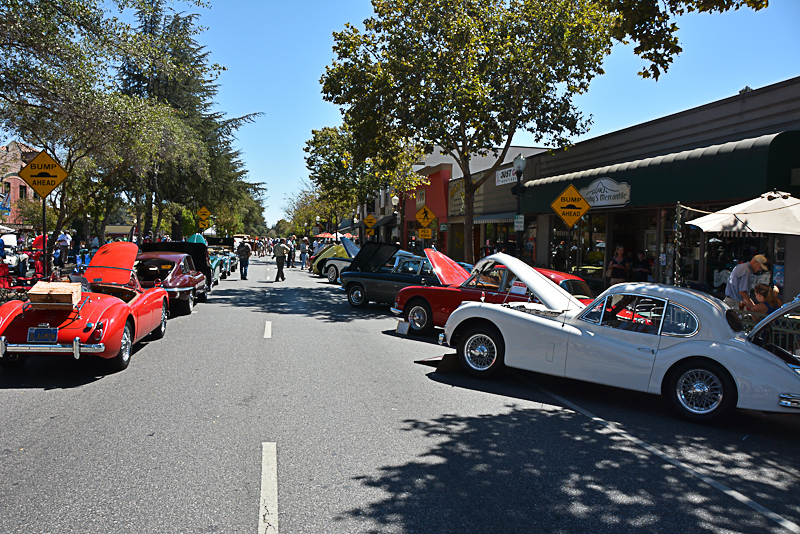 Welcome to the home of the Annual British Fall Classic automobile show being held in beautiful downtown Morgan Hill. The British Fall Classic is brought to you by On the Road Again Classics of Morgan Hill, specializing in the restoration of British Motorcars. This exceptional event will feature exquisite British classic sports & saloon cars representing revered marques such as Rolls Royce, Aston Martin, Jaguar, MG, Morgan, Triumph, Austin Healey, Lotus, Morris, and more! There also will be British motorcycles as well as race cars! Mark this weekend on your calendars and save the date! The event was made possible by the generous donations of our Title Sponsors, the organiser On the Road Again Classics, Classic & British Car Restoration & Repair Shop, and Ladera Grill, – both in Morgan Hill. Special thanks also to Silver Sponsors: Heritage Bank of Commerce and Guglielmo Winery for their contributions to make this annual event happen. ** This is a Fundraising Event. All net proceeds benefit local nonprofit organizations. Please note: There will be no drive-in, judged or non-judged, registrations the day of the show. Copyright 2016 The British Fall Classic. All rights reserved.